Prospect Avenue has some of the highest bus ridership in the region and will soon be converted into a bus rapid transit (BRT) corridor - Prospect MAX. 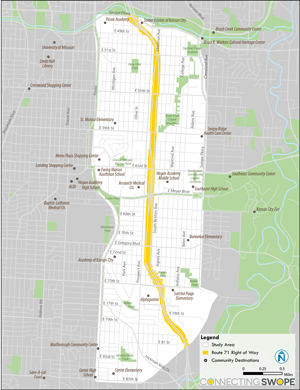 U.S. 71 Highway runs a block east of, and parallel to, Prospect Avenue between Swope Parkway and 75th Street. 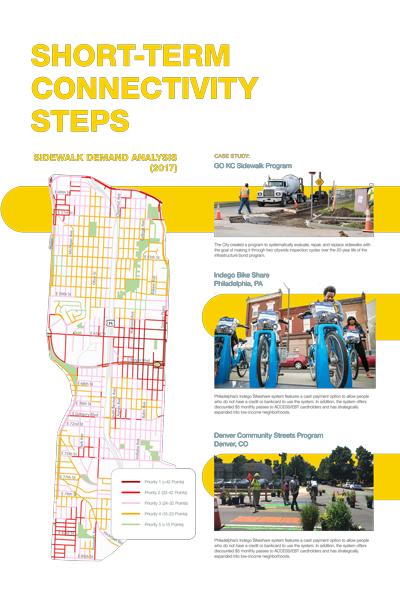 For potential transit users, pedestrians, and bicyclists, there are few opportunities to cross the highway, high vehicle speeds, and wide intersections that all hinder accessibility. The Connecting Swope Project will identify ways to improve connections across U.S. 71 Highway to the Prospect MAX line. 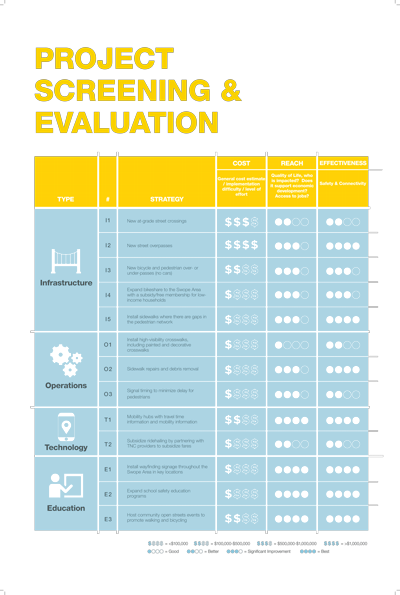 Building on the needs expressed in past studies, the team will recommend projects and programs that address issues of access, safety, convenience, and comfort in the area. 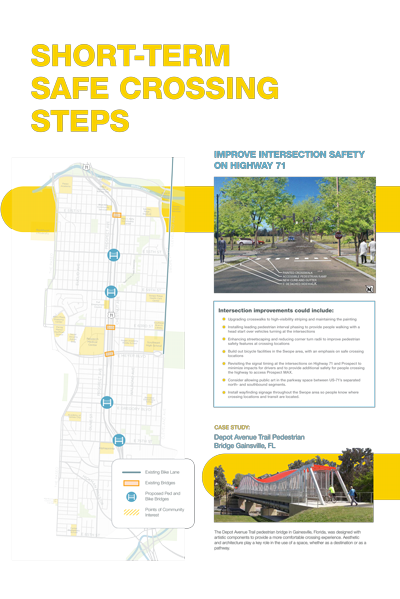 Improve the safety, comfort, and ease of crossing U.S. 71 Highway. 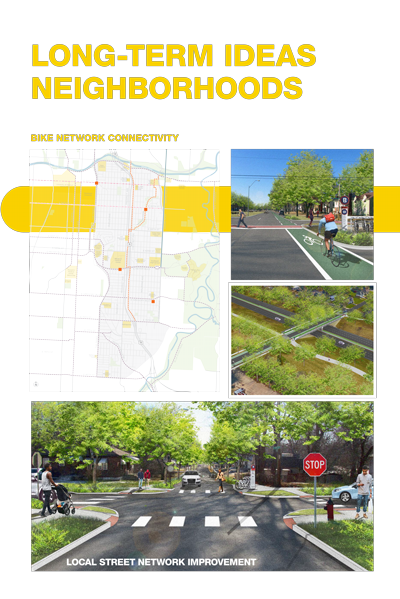 This study is focused on improving travel from Swope Parkway to 85th Street and The Paseo to Cleveland Ave. This project is being closely coordinated with the KCATA Prospect MAX line and the KCMO Prospect Corridor Streetscape project. 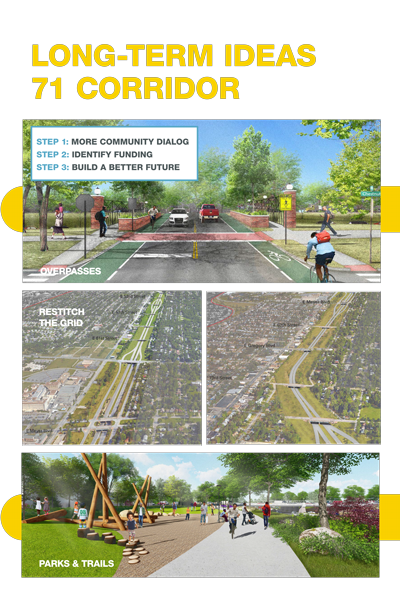 Funding for the initiative is provided by the Mid-America Regional Council (MARC) Planning Sustainable Places program. This study will last from July 2017 through May 2018. KCATA and consultants met with neighbors in the study area to present possible solutions and gather feedback. Click each image to view a PDF.